Une image d'une très grande netteté et très détaillée de ces chardons et de ce bourdon, de l'excellent travail Jim! 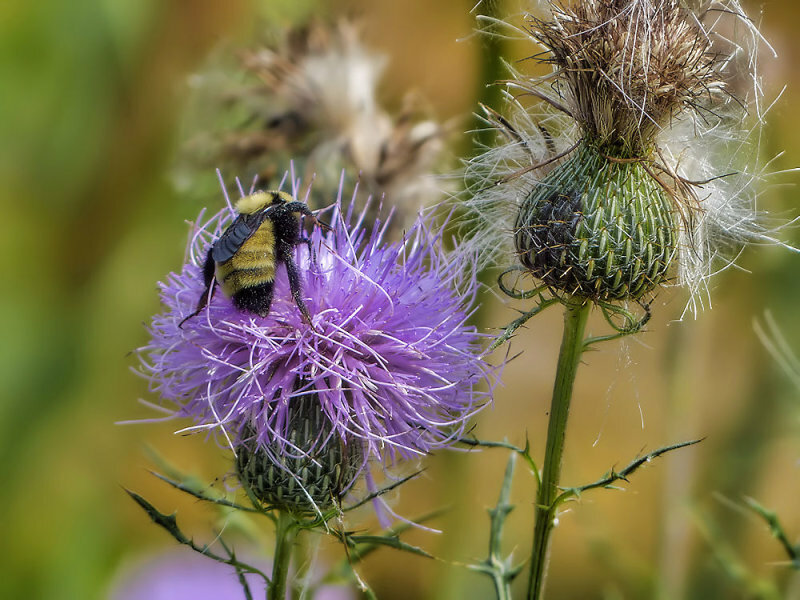 Great capture of this working bee and thistles, Jim.V!! Bees just love these thistles. A good one. A well captured close-up Jim. So hard at work and busy as a bee. The bee seems like he is turning around to look at you. Neat shot. Super sharp. Great detail. "V"
what a tangled bloom...fortunate the bee came by to add a certain buzz.. Excellent detail in this beautiful capture. Stunning capture Jim, this is beautiful.